Welcome to The Family Learning Center! My name is Lindsey Simmonds. I joined the FLC team as the Site Director in October 2017. I have worked in the Early Childhood Education field for over 22 years, including the past 7 years I was the Site Director of Miller Ranch Child Care in Edwards. I moved to Eagle County from Lone Tree, CO where I was the Director of Compass Child Care for Douglas County School District. I have studied Early Childhood Education at both Metropolitan State University of Denver and Colorado Mountain College and am a graduate of the Franklin Covey Leadership Academy. I live in the Lower Homestead community of Edwards with my son, Fisher, my husband, Nathan, and our dog, Olive. In my spare time, I love taking advantage of all that Colorado has to offer; camping, fishing, skiing, and hiking! I look forward to meeting you and your child as well as welcoming you to our Family Learning Center family! Hello, my name is Kat Paula and I am the Foodservice Manager at the Family Learning Center. I grew up in Pennsylvania and went to the Culinary Institute of America in New York where I earned my degree and Baking and Pastry Arts. 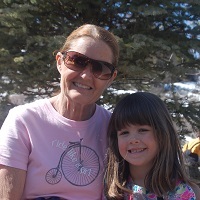 I moved to Colorado with my husband in 2009 and we have a daughter, Lily, who attends FLC. I love to work on the garden and introduce fun, new, healthy foods to the children. My favorite part of my job is getting to interact with the children and watch them learn to love and appreciate food! My name is Jennifer, please call me Jen! I have lived in the valley for nearly 15 years. I am married with two teenage boys. I started working with kids in high school and have not done anything else since! I went to college for ECE and received my CDA. I hope to further my studies even more. I have always had a natural connection with children, I love their spirit and individuality. FLC has been a wonderful experience and opportunity for me. My name is Cecilia Reyes and I was born in Mexico. I have two associates in early childhood education. It is amazing to me how small a child can be and how they have some traits or ideas of how they will be when they grow up. I've been blessed with four beautiful children, and two lovely Granddaughters. I'm a Colorado Native, and am fortunate to be living up in the Mountains. I enjoy reading, cycling, swimming, walking, hiking, and Zumba. 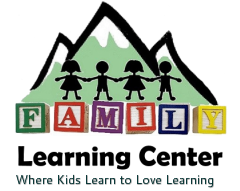 I've been working at "The Family Learning Center" for over ten years. I feel getting on the child's level is key, to helping the child learn and grow at their own pace. I love getting messy with the kids, singing, dancing, being playful, and letting the kids be kids! Most of all, I love being an important part in the life of a child! Best job ever! Lots of hugs and kisses!